Viral Shah of Geojit Comtrade is quite excited about currency options. "Since stock markets have been range-bound, many retail investors have recently started putting money in currency options," he says. And, Shah's enthusiasm is based on numbers. In the last four months, the daily average turnover of currency options has increased from Rs 600 crore (Rs. 6 billion) to Rs 3,000 crore (Rs. 30 billion). 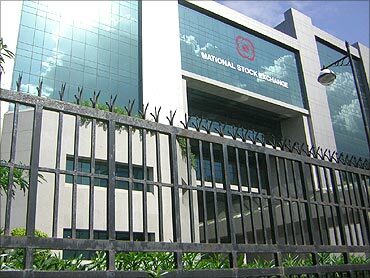 Currency options in the dollar-rupee segment was introduced on the National Stock Exchange and United Stock Exchange last October. An options contract gives an investor the right - not obligatory - to buy or sell an asset at a pre-determined price and at a specified time. A call options gives the right to buy and a put options the right to sell. For instance, an option to buy dollars for rupees is a dollar call and rupee put. Image: NSE introduced currency options in October. Although there are two intermediaries - stock exchanges and banks - through which one can invest, a retail investor can only invest via an exchange. "Banks cater only to those who have exposure in foreign currency such as exporters," says Pramit Brahmbhatt, CEO, Alpari. 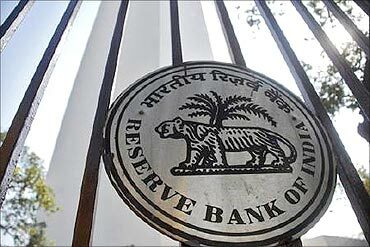 The Reserve Bank of India has introduced some plain vanilla options products with banks. But these are yet to take off. While investing through exchanges, the minimum lot size is $1,000. At present, stock exchanges allow options in dollar-rupee only, whereas futures are allowed in dollar, pound, euro and yen. To buy an options contract, you pay an upfront fee of two-three per cent. Say, you plan to travel abroad after one month and need $1,000. You could buy one lot of $1,000 at the strike of Rs. 45. To make this purchase, you will have to pay a premium of 20 paise on the strike price. This implies you will be paying at the rate of Rs. 45.2 per dollar. Image: RBI has introduced some plain vanilla options. For this, you will have to enter into an options contract, pay an upfront/margin money of two-three per cent and the premium, which in this case is 20 paise. This works out to an initial investment of Rs. 1,100-1,500 for an exposure of $1,000. Now, if the rupee were to fall to Rs. 45.5, you stand to gain 30 paise. On the other hand, if the rupee were to appreciate to Rs. 44.5, you still stand to gain. It is because although you lose the 20 paise premium per dollar, you can forego the contract and buy dollars from authorised dealers at a cheaper rate. The gain here is also 30 paise per dollar. "Many clients have hedged their positions with currency options for remitting funds to children studying abroad and for a foreign holiday for up to six months," says Hemal Doshi of Geojit Comtrade. Image: Many clients hedge their positions with currency options. If one is looking at investing abroad, one could take advantage of this instrument. RBI allows an individual to invest up to $2 lakh in one year. "As of now, very few retail investors understand this product and have such goals," adds Doshi. But financial planners are not too enthused with currency options as a form of investment. Certified financial planner Gaurav Mashruwala says there is no need for retail investors to look at such products. If interested in speculation, one could look at keeping aside two-three per cent of the corpus for such investments. Importantly, don't link it to any goal. "This product does not give any special advantage such as high returns or tax benefits, therefore, it doesn't make sense to get into it. 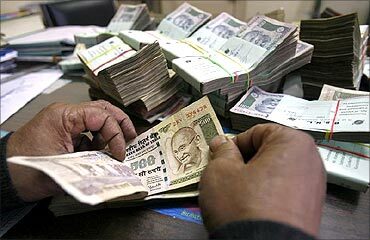 For a six-month horizon, fixed deposits and fixed maturity plans look attractive," adds Mashruwala. 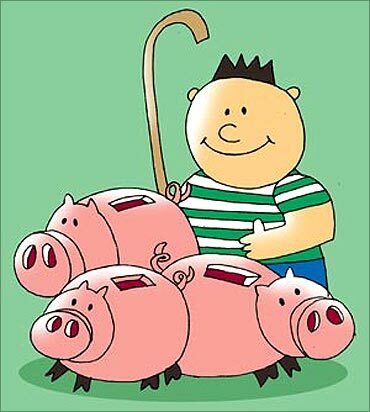 Image: Fixed deposits are better for short-term goals.